Clinton Markell served as the City of Duluth’s second mayor, elected to a one-year term in 1871. He was born in Ohio, married Katherine Watrous of Ashtabula in 1855, and arrived in Duluth in 1869 where he and other future Ashtabula Heights residents, including J. D. Ray and Sidney Luce (Duluth’s third mayor), founded the township of Portland within today’s East Hillside. Markell was one of the founders of the grain trade and built several grain elevators, one with his business partner Roger Munger. Together Munger and Markell built Duluth’s 1883 Grand Opera House. On January 6, 1872, Mayor Markell’s carriage was famously stopped by a police officer named Thompson for speeding. Duluth had recently passed a law against horses traveling in town faster than a walk. The driver, teamster William Trowbridge who worked for Pratt & Co., was fined five dollars. In the carriage with Markell were former Mayor J. B. Culver and William Nettleton, whom Markell had defeated in the mayoral race. Together the three of them covered the fine by taking donations from patrons in local taverns. Clinton Markell, aged 80, Head-of-the-Lakes pioneer and the second mayor of Duluth, died yesterday morning at Pasadena, Cal., where he went several weeks ago in an attempt to regain his health. News of Mr. Markell’s death was received yesterday noon … Clinton Markell came to Duluth in 1869 and has since made this city his home. He was born at Geneva, Ohio, Jan. 17, 1832, and attended the Geneva public schools, afterward graduating from the Kirtland Academy, Kirtland, Ohio. He began his business career as clerk in a dry goods establishment at Geneva and remained with the same firm 10 years. In 1855 he married Miss Katherine E. Watrous of Ashtabula, Ohio, and shortly after removed to Superior, Wis. He there engaged in mercantile pursuits for a brief period and then returned to Geneva. During his stay across the bay he became impressed with the idea Duluth would be the coming city at the Head of the Lakes and joined with J. D. Ray, John I. Post, Dr. A. B. Robbins and Sidney Luce in the purchase of a tract of land which was platted in 1856 as the town of Portland. It is now known as the Portland division of Duluth. There was 200 people in Duluth when he took up his residence and he joined with them in an effort to build a city. In 1870 he was elected mayor in recognition of his efforts. He also at different times was a member of the city council and held other positions of public trust. 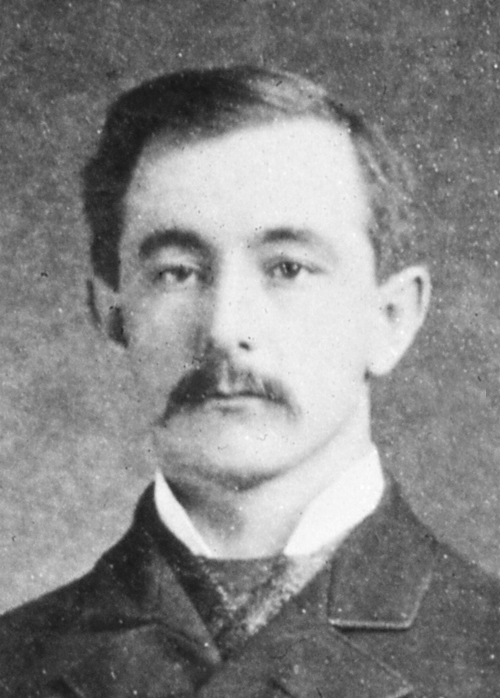 Mr. Markell was one of the founders of the grain trade in Duluth and at one time was connected with several elevator enterprises. In company with R. S. Munger he built the Grand Opera House. He was associated with Mr. Munger in the real estate field for more than twenty years but of recent years did not take an active interest in business, living quietly at his home, 2215 East First street. At various times Mr. Markell was interested in the West Duluth Land company, Imperial Milling company, Duluth Iron & Steel works and other large enterprises.